Lets see, Gho is the man who is able to do HM. In theory, he can return a NW5/6 to NW1. But curiously, he is not interested in doing such transformation. Instead, he treated Gerard Joling, Dutch celebrity, and paraded him all over the TV shows in the Netherlands. Dr. Gho tries to convince us that this is an example of HM (or stemcell transplantation, as he calls it). But when we see at the REAL Before-After photos, what do we see? We see a normal FUE-HT. 1500 grafts, that all. p.d. the before-after photos are captured from a video linked by Iron-Man, who is very good at finding info, but very bad at interpreting it. You guys keep doing this. Both of these pictures are “before” pictures. I was confused at first also, but the footage of him looking at the computer with the sparse transplants is a BEFORE video. » who is very good at finding info, but very bad at interpreting it. 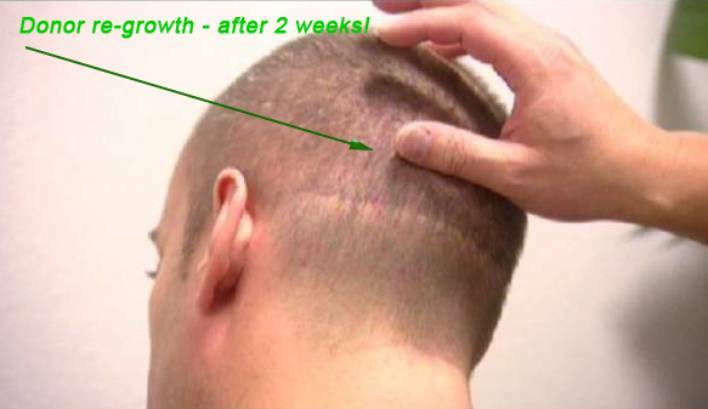 … and THAT is the reason (donor re-growth), why you can have hair as much as you want, resp. as much as you need! Follicular Units, multiplied IN VIVO! ¿If Gho gets donor regrowth where are the NW6 guys with a full head of hair? There should be some of them. Right? » with the sparse transplants is a BEFORE video. This is a closeup from the same scene. Gho is checking the results. Sorry for insisting on this topic about Gerard Joling, but after so many misleading posts by James Bond and Iron_Man (they even posted a fake before photo), it was mandatory to post these photos to clarify the Joling affair once and for all. In fact, Shooter, as you see, you were also quite confused, so I hope you agree with me on the necessity to clarify this issue. After 10 years of promises…is this all that Gho has to show the world? Gho has paraded Mr. Joling all over the dutch TV, as proof of his revolutionary “stemcell transplantation”. Do you think Gho is trustworthy? Once again, thanks for the advertisement, Iron_Man. You say that the donor regenerated? Well, you are very bold, afirming that. These are just 1500 grafts, harvested across a large area (more than 200 cm2). Difficult to notice the thinning. Gho is using Gerard Joling as advertisement boy. 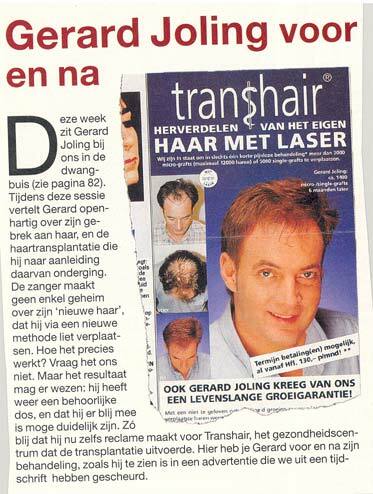 But this is not the first time Joling offers himself to advertise hair transplants. » this is an example of HM (or stemcell transplantation, as he calls it). » But when we see at the REAL Before-After photos, what do we see? » We see a normal FUE-HT. 1500 grafts, that all. huh? this post is kind of silly… naturally the recipient area will look like a normal FUE transplant… what did u expect it to look like? isnt the question is whether or not the donor area regenerated…? These pictures dont address that topic at all… so what is your point? » dont address that topic at all… so what is your point? Hairman2, have you read the forum lately about Gerard Joling? Gho has trumpeted this case as proof of his HM technique. Iron_Man and James Bond had said very enthusiastic that this was a spectacular case that proved Ghos’ HM. They posted before and after photos (they even posted a fake before photo where Joling was completely bald). They said that Joling was hiding under a wig because previous failed transplants. and thanks to Gho, he now had a full head of hair. This is a minor hair transplant, only 1500 FU’s. The grafts were placed at the front. Just to increase density, because there was already hair there. The crown remains quite thin. 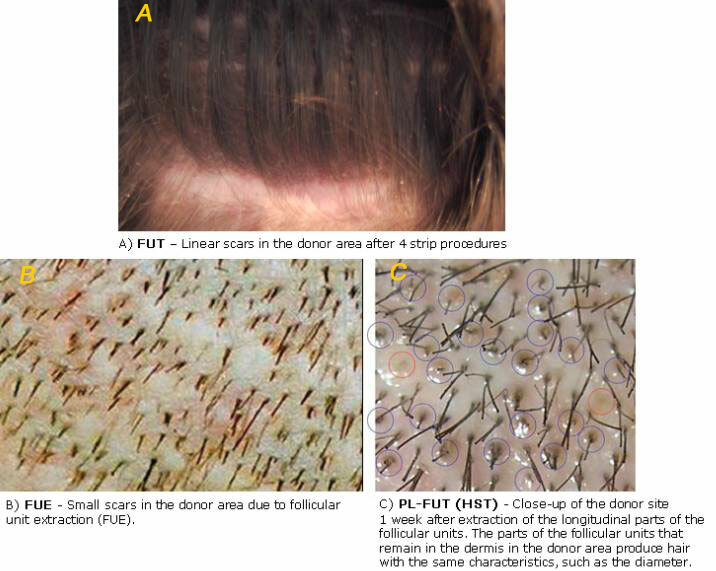 The donor regrowth is impossible to asses from the photos. Joling was not completely bald in the recipient area. He already had hair from the previous hair transplants. This is a normal hair transplant. The donor regeneration is not proved. They don’t even try to examine it. » This is a normal hair transplant. The donor regeneration is not proved. » They don’t even try to examine it. Again if this was only 1500 fu’s what do you expect it to look like. Your dead right they didnt check the donor area in the photos so where is your proof that it didnt work. I’m not for or against the procedure. I would want to see full evidence before i would consider it. However it’s getting tiresome with the pointless arguements. Its become childish with people trying to score points and insult each other. Get Dr Gho to do a controlled and documented experiment. If not just leave it there and forget about it. » proof that it didnt work. Its up to him to prove things. Extraordinary claims require extraordinary evidence. » tiresome with the pointless arguements. If you think I am using “pointless arguments”, then there is little else I can chat with you. » and documented experiment. If not just leave it there and forget about it. You simply don’t get it. » » Again if this was only 1500 fu’s what do you expect it to look like. » » proof that it didnt work. » » tiresome with the pointless arguements. » can chat with you. » You simply don’t get it. Whats to get? you dont believe him i get and respect that. I agree that there is not sufficient or conclusive evidence. At this point its time to put up or shut up about this. if he doesnt then there is no much left to discuss really. I dont believe there is any point in sayin the same things over and over both for and aginst the procedure. » over and over both for and aginst the procedure. I have posted a new “after photo”. Did you know this photo? In this photo you see new things (I have explained). Even if you knew this photo, I am sure 99% of the forum readers don’t know it, or didn’t pay attention to it, because it was in a video posted by Iron_Man. So, I have posted valuable information. It took my time to capture the images, edit, and post them. But you enter my thread to derrail it, and ignore my arguments. You say that my arguments are “pointless” and that “I am posting the same information over and over again”. » » over and over both for and aginst the procedure. » because it was in a video posted by Iron_Man. » am posting the same information over and over again”. I’m not looking for a personal arguement. Also you just skipped over the fact that i agreed with you on there being insufficient evidence. the photo you posted does not discount donor regeneration. The pro Gho photos dont prove it in my opinion either. The simple fact remains that until a properly documented experiment takes place it is all just opinions both for and against. Celt, don’t you realize? Do you think this make sense? 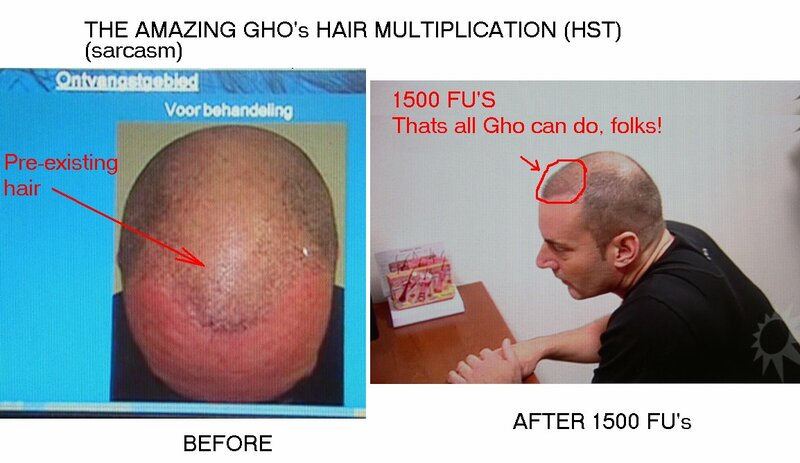 Gho is suppossedly at the cutting edge of HairMultiplication, with 10 years of claims and promises, and after 10 years, he makes an spectacular appearance in the media, trying to prove his supperior technology, showing Gerard Joling. But when you see Gerard Joling, the correct photos, you see nothing out of the ordinary. In fact you see something TERRIBLY ORDINARY. If you go to the HT forum, you see much better transformations everyday from Hasson and Wong, Arvind, etc. It doesn’t take too much Phosphorous to realize of the truth. » ordinary. In fact you see something TERRIBLY ORDINARY. » from Hasson and Wong, Arvind, etc. » It doesn’t take too much Phosphorous to realize of the truth. Spanish from the photo you posted it looks like he had a regular transplant, agreed. however if the follicles used for that transplant have grown back then this is the point of his claims. Not for one min am i saying they have but i am saying that the photos you posted do not prove that they didnt. Also as I have already said i do not think any photos or sufficient evidence has been posted to prove they have grown back either. My point is simple I think we have given our opinions on what we think of the procedure. There is one thing left to do and that is to get Dr Gho to repeat this under documented evidence then this will either endorse his claims or put them to bed. No i fully repect that you don not believe his claims but i still think a controlled experiment is the only way to get a coclusive answer. » sufficient evidence has been posted to prove they have grown back either. But sincerely, what is your oppinion of a guy, who in the last 10 years, has played the game of posting “evidence” that is suppossed to prove something, but in fact, proves nothing? From time to time, he posts “evidence”, so that all the forums get discussing about this “evidence”. At the end, we find out that this evidence is not really evident, and we will have to “wait for more evidence”. But Gho gets what he wanted. A lot of publicity, and clients for his clinic. In the middle of all the confusion, many persons will go to his clinic. IMO, we should not allow this kind of behaviour. We should clearly classify this guy as a charlatan and a liar, until he proves his claims conclusively. If he is not a liar, don’t worry, he will prove his truth. Even if I classify him as a liar, I am still open and ready to read future proof. 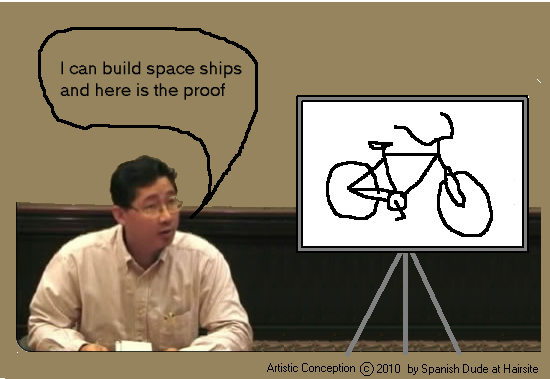 » something, but in fact, proves nothing? Based on the evidence thats been provided i dont see many people if any going and getting this done. It does seem far to good to be true and i’ve got my own opinions on it. In saying that i would like this to be tested and documented once and for all to prevent the likes of these threads happening again. The can he cant he saga has gone on to long. Even negative publicity is publiicity. I would like to see if it works and if it doesnt lets just forget about it full stop. 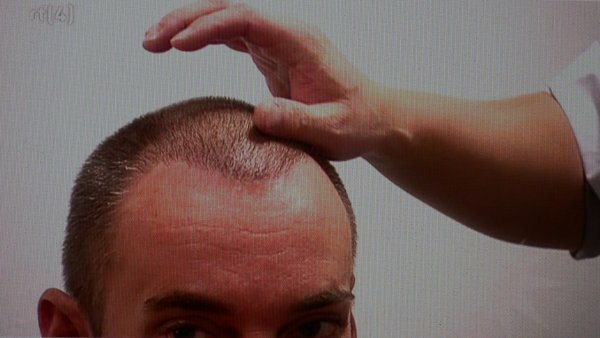 At the end of the day we are all hairloss sufferers thats why we are on the forums. We need to pull in the same direction where possible on this. Like i said in another thread lets get this tested a small donation from each of us and someone that is willing to have this tested and to have it documented properly will give us all the answers we need. At this point in time it’s all just become conjecture and an arguement over what we believe ourselves. Let me just say i respect everyones opinion and what they think but at the end of the day lets just get definite proof then everyone is happy.